If you're a comic book fan, you might like these bright green crazy contacts inspired by the Incredoble Hulk character. ColourVue Hulk contacts are great for costume parties. 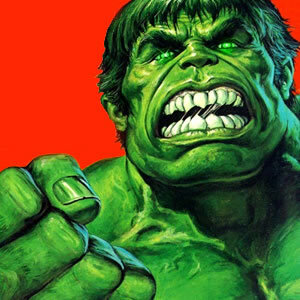 Are you an Incredible Hulk fan? If so, these lenses are designed for you! Try them on and make your eyes incredibly green! ColourVue Hulk contact lenses are crazy lenses ideal for costume parties or cosplays, where details of your costume are very important. With these green contacts you can turn into Hulk or any kind of green-eyed character you can imagine. And thanks to an innovative manufacturing technology incorporated by ColourVue, these crazy lenses are very comfortable, so you can wear them all day.